Funeral services for Arthur “Art” Anderson will be held at 10:30 AM Saturday, March 30, 2019 at Salem Lutheran Church, Albert Lea. The Reverend Erica Cunningham will officiate. Visitation will begin at 9 AM and continue until the start of the service at church. Interment will take place at Hillcrest Cemetery. 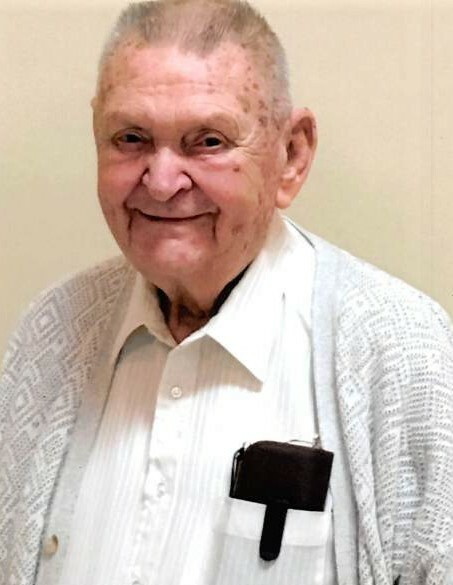 Art passed away on Tuesday, March 26, 2019 at St. John’s Woodlands Campus. He was 87 years old. Arthur Alfred Anderson was born on January 26, 1932 to Otto and Gladys (Hagen) Anderson in Albert Lea, MN. He attended and graduated from Albert Lea High School. Following school, he joined the United States Army, and served his country honorably from 1952 – 1955. On June 7, 1958, Art was united in marriage to Roselyn (Lembke) at Salem Lutheran Church in Albert Lea. To this union, four children were born. Art spent 32 years working for Wilson’s. When he wasn’t working, Art was involved at Salem Lutheran Church, being on the church council and serving as an usher. He was a member of the American Legion and VFW, Eagles, as well as the Moose Club. Art served in numerous organizations in his life. He was on the Salvation Army Board, President of Albert Lea Senior Citizens for two years, and was a Trustee for Wilsons Retirement Board. Art was the Chairman of Freeborn County DFL party for 22 years, and Roselyn was vice chair. He was chosen to be a delegate to the Electoral College to elect President Barack Obama and Joe Biden in 2008. He also was able to attend President Obama’s inauguration in Washington D.C. Annual fishing trips up north with his family was always something Art looked forward to. Above all, spending time with his grandchildren, and being a part of their activities were some of Art’s best memories. He is preceded in death by both parents, Otto and Gladys; sisters, Virginia, Anna Mae, Leona, Shirley, Bonnie, and Darla Jean in infancy; and brother, Alan in infancy. Art is survived by his wife of 60 years, Roselyn; children, Lori (Steve) Burnham, Deb (Randy) Kolling, Jim (Diane) Anderson, and Gerald (Kari) Anderson; grandchildren, Peter (Julissa) Burnham, Rachel Burnham, Joshua (Liz) Kolling, Bethany (Matt) Catlin, Wade (Heather) Kolling, Will (Nicole) Anderson, Lance Anderson, Tor Anderson, Kaia Anderson, and Gunnar Anderson; great-grandchildren, Connor, Brooke, Mia, and Dean; as well as many other loving relatives and friends. The family would like to sincerely thank the staff at St. John’s – Woodland Campus for their compassionate care shown towards Art. In lieu of flowers, memorials preferred to Salem Lutheran Church Roof Fund, St. John’s Foundation, or Mayo Clinic Home Health and Hospice.